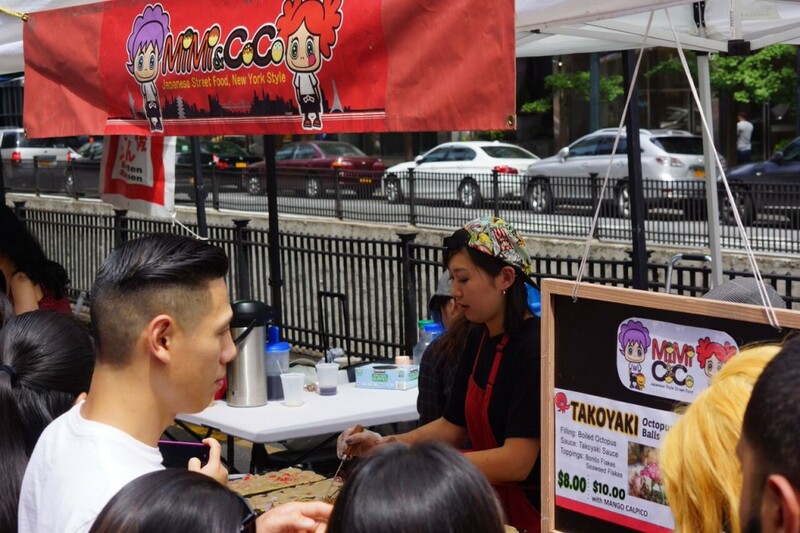 The Murray Hill Neighborhood Association’s Street Fair took place on June 6, spanning Park Avenue from 34th to 40th Streets with the theme of “Celebrating Historic Murray Hill.” Japanese culture probably has very little to do with the history of the neighborhood, but Japan Block Fair was by far the most popular attraction of the day. 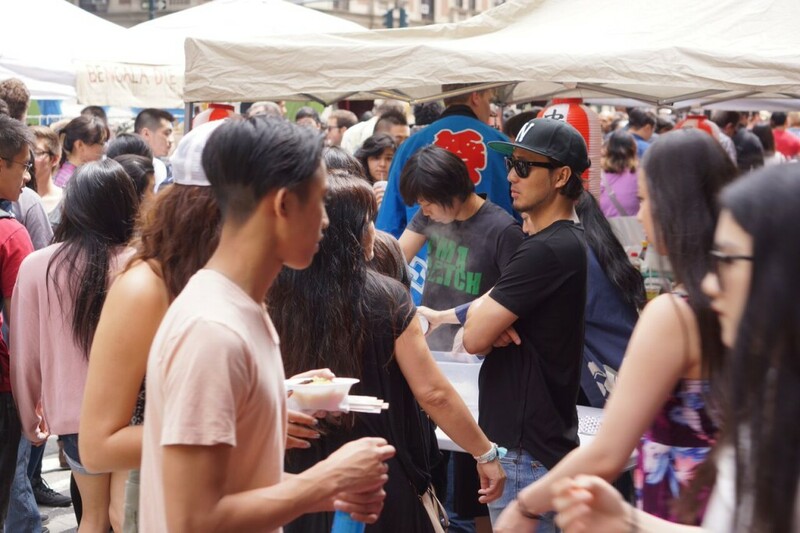 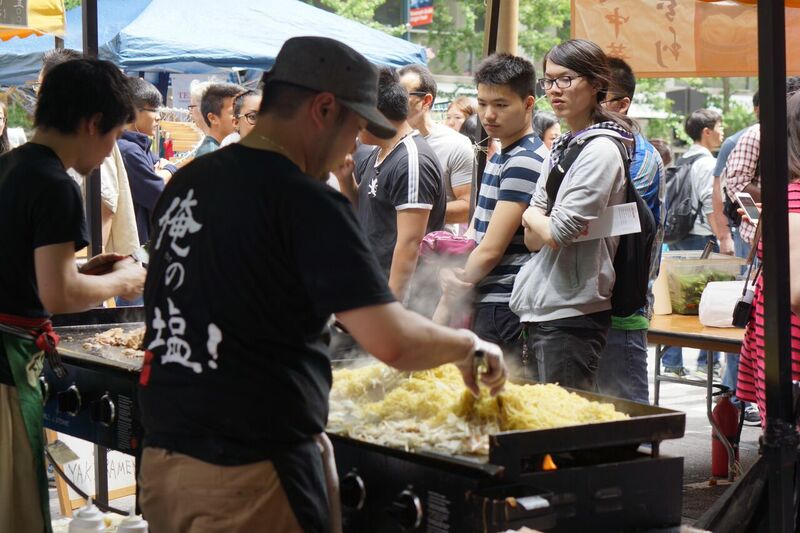 Encompassing the final block of the fair between 39th and 40th, Japan Block Fair was packed with people waiting in long lines to sample the very best of New York’s Japanese street food, including yakisoba, okonomiyaki, ramen, and onigiri. 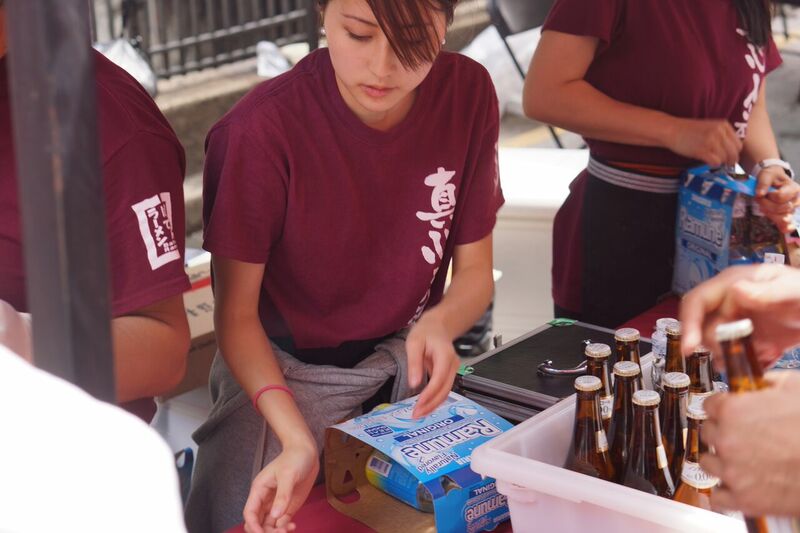 Hakata Tonton’s wildly popular grilled pork skewers were sold out by 2:00 p.m.
A Ramune with your Batten Ramen? 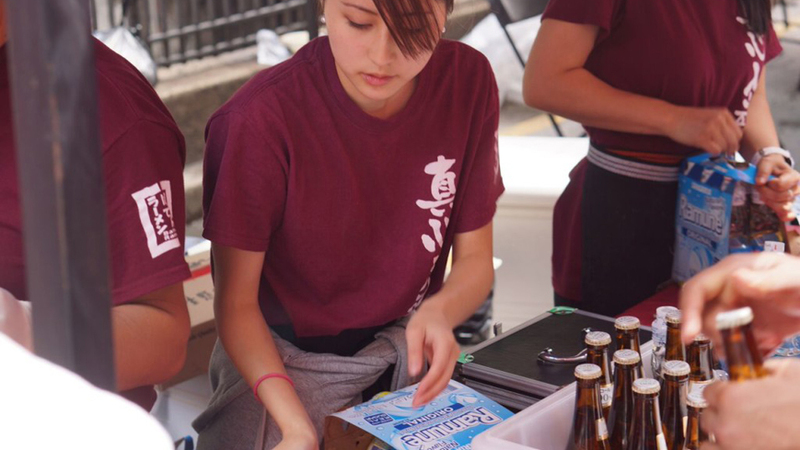 Food wasn’t the only draw, of course. 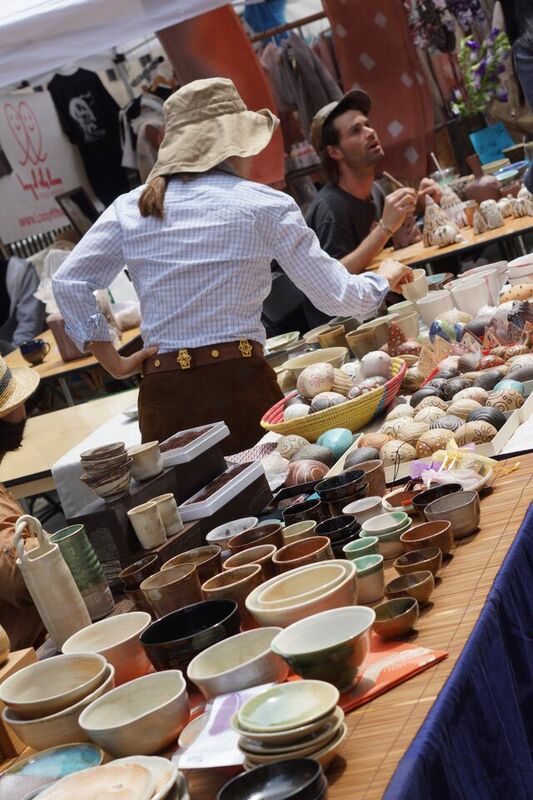 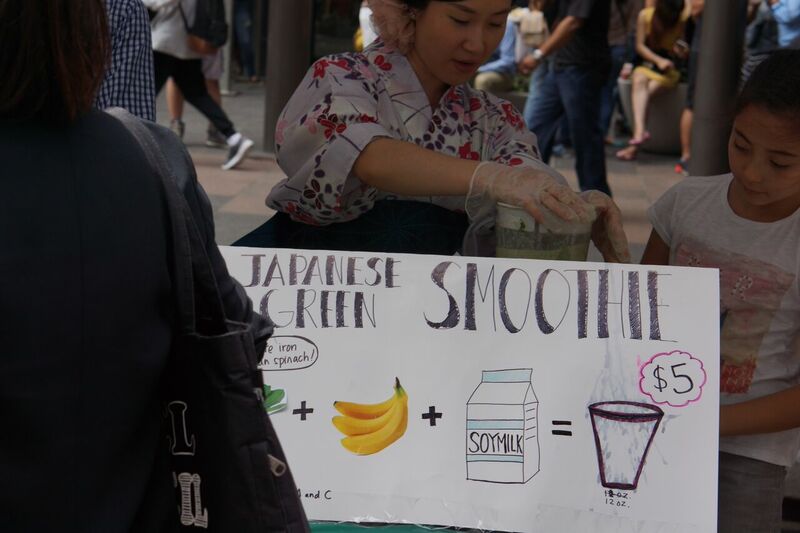 There are always plenty of Japanese and Japanese-inspired goods at Japan Block Fair. 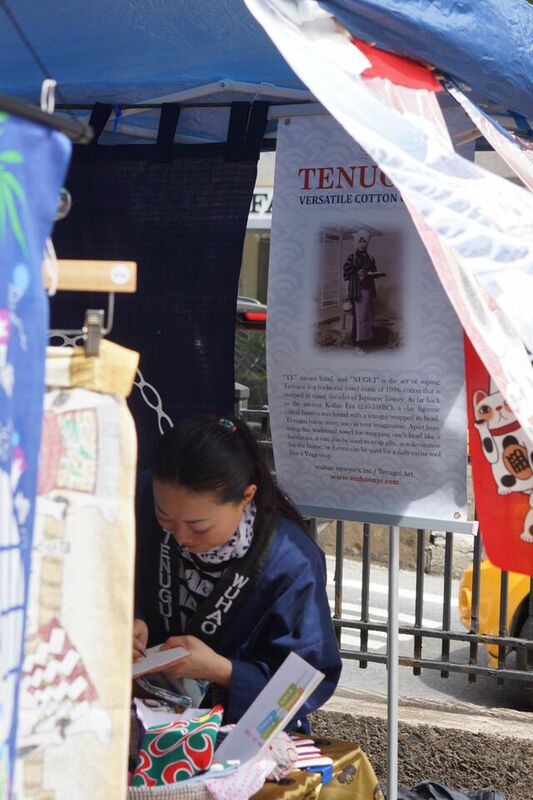 The foodies were able to find pottery, tenugui, and even zori. 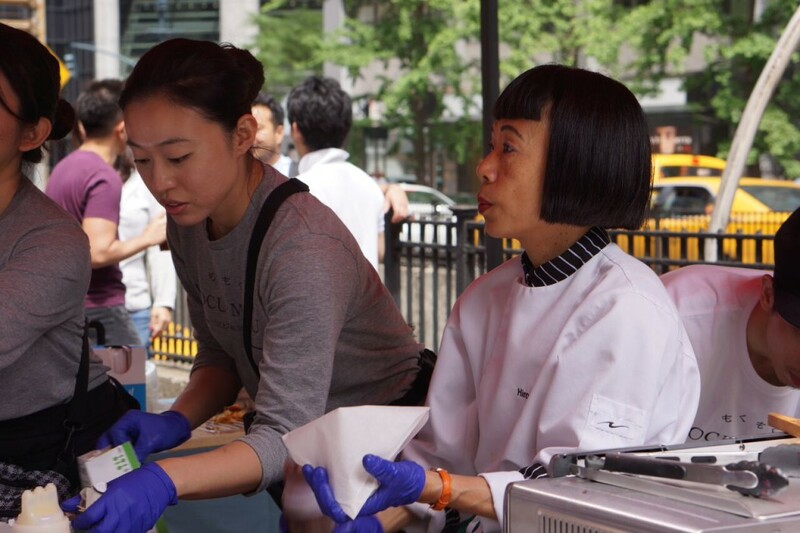 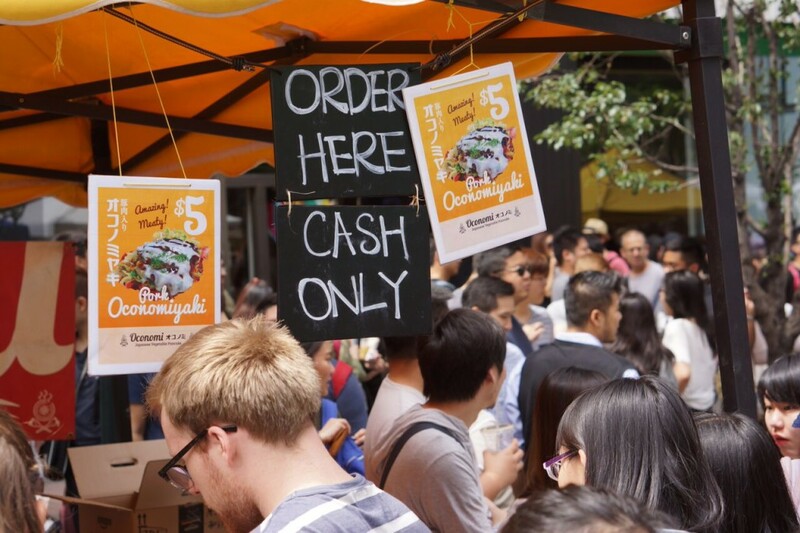 People hoping to try street food in Japan had the guidance of travel agencies Amnet and H.I.S. 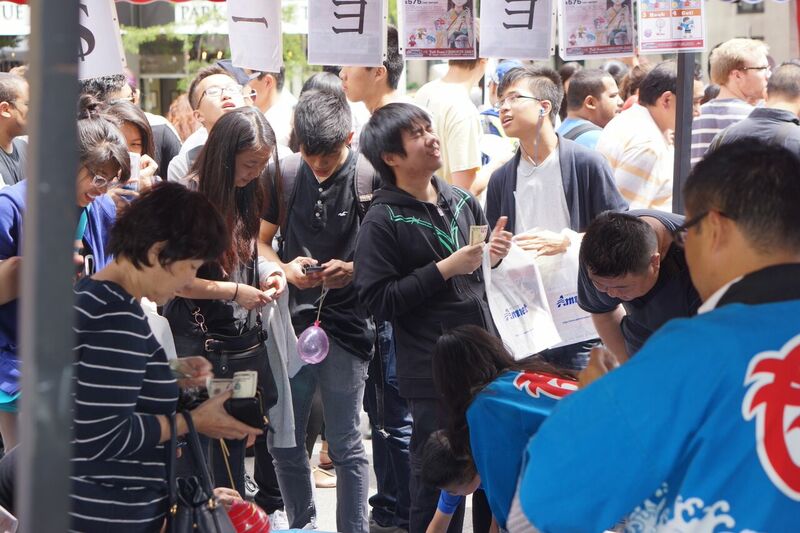 to plan a trip and to enjoy yo-yo fishing and origami as well. 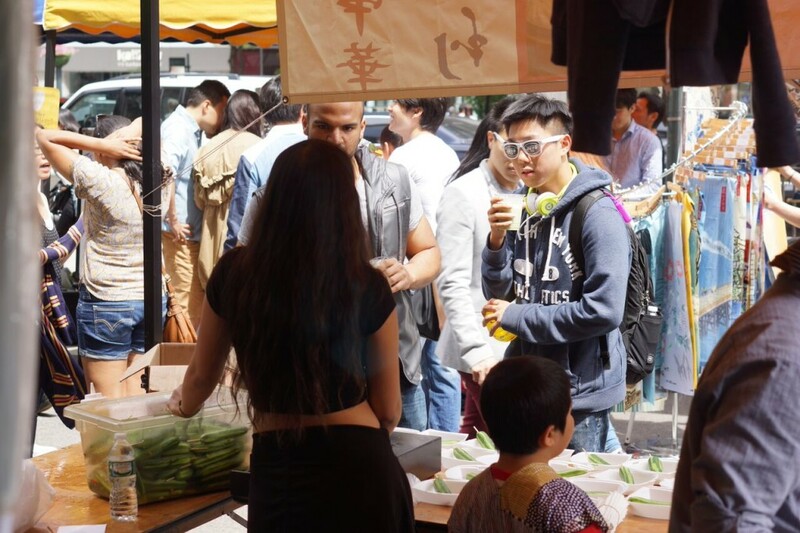 Despite not having a stage, the fair managed to have performances by young singers and dancers. 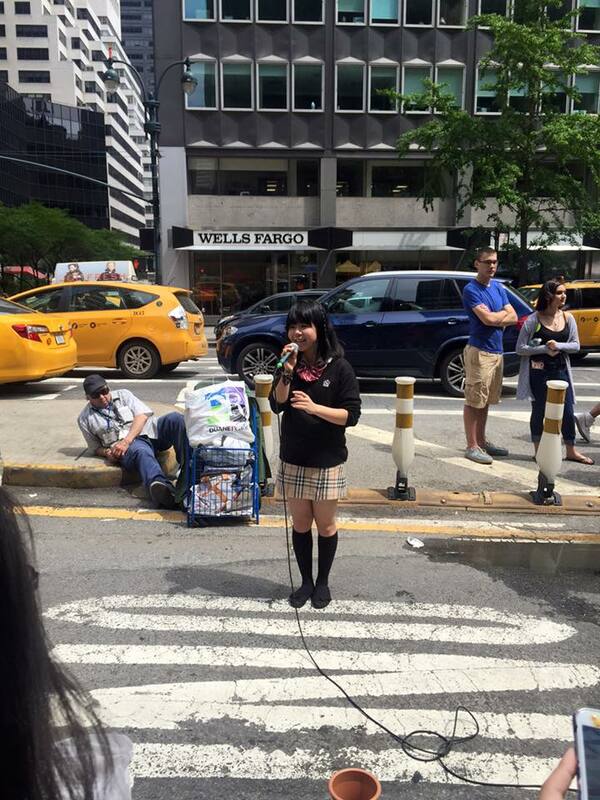 High school student Mitsuki and idol group Rainbow Bubble entertained the crowd in a sliver of Park Avenue next to the bike lane. 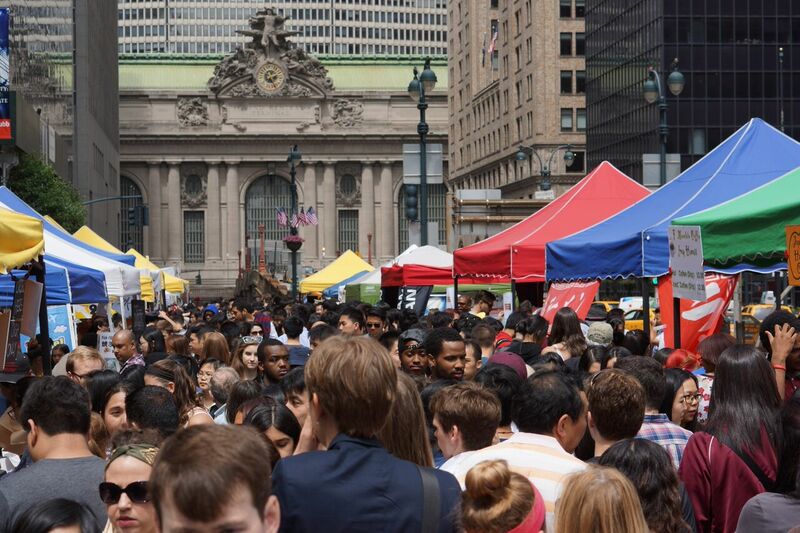 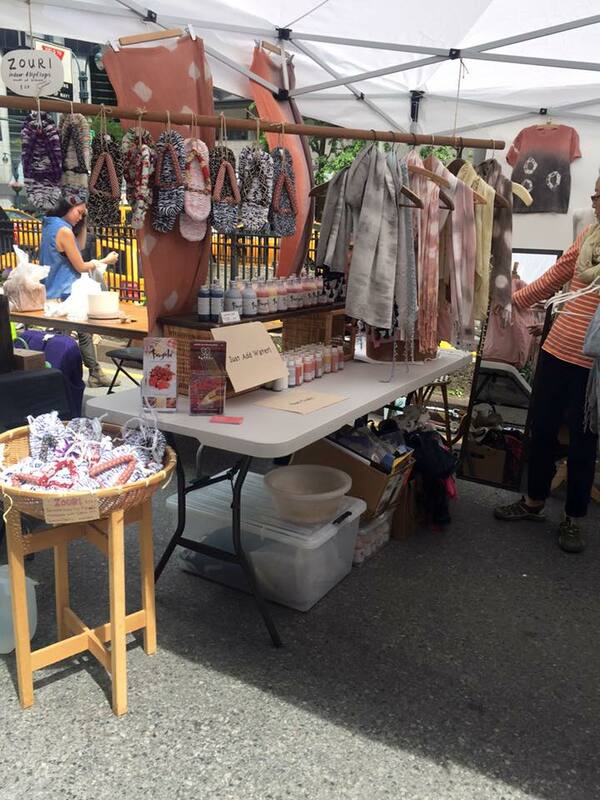 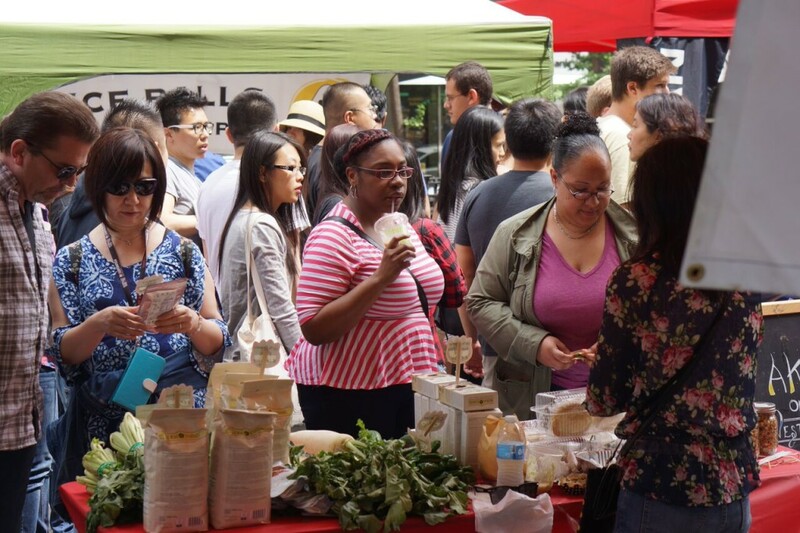 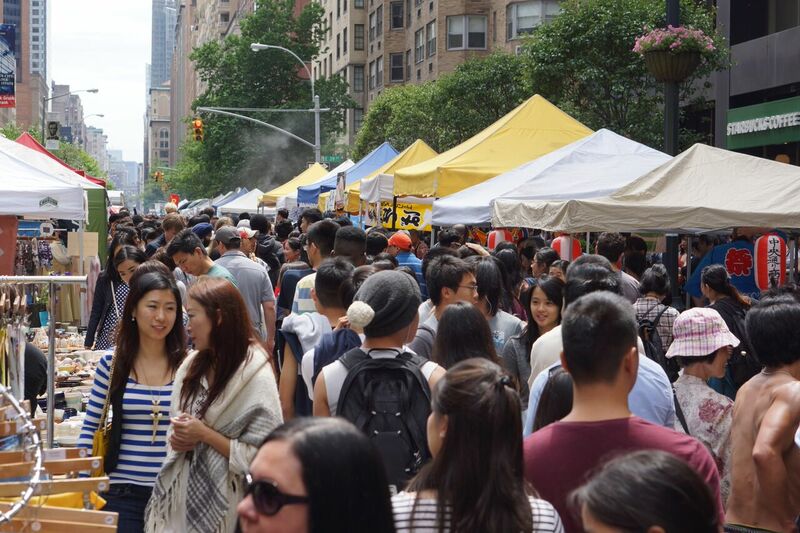 The next Japan Block Fair is Sunday, October 18 on Broadway between 93rd and 94th Streets, so mark your calendars! 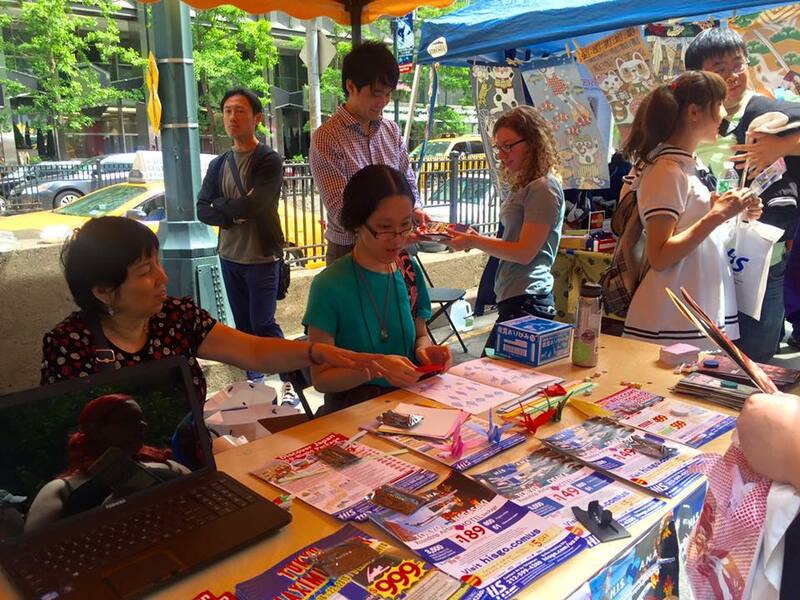 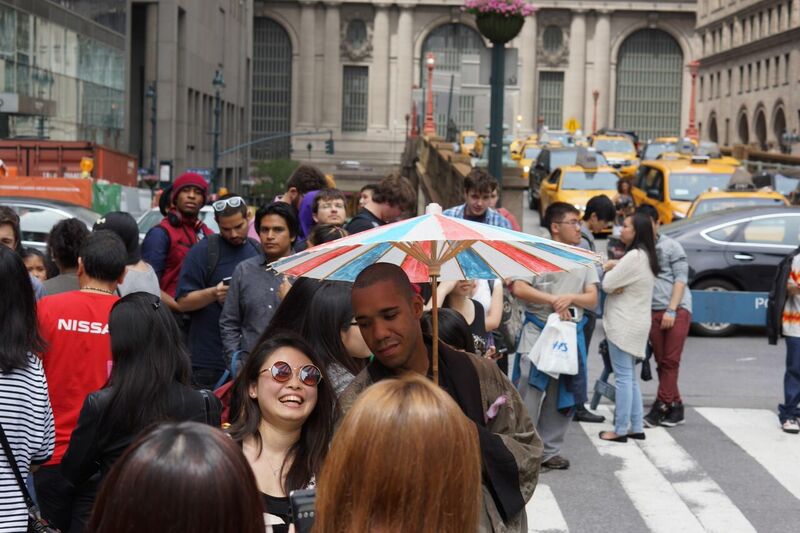 To see more pictures from Japan Block Fair, please visit JC•NYC’s Flickr album.